Vampires are rarely alone these days. Movie monsters now travel in packs. Whenever a vamp appears on screen, werewolves, witches, demons, trolls, and other beasties are bound to follow. Clary (Priest's Lily Collins), the resilient heroine of The Mortal Instruments: City of Bones, faces the full hellion gamut in this teen thriller, the first installment in a planned franchise. It starts innocently: Clary's just a girl in Brooklyn, hanging with her sensitive - by which I mean he wears glasses - guy pal (Robert Sheehan of Killing Bono). But as soon as she starts doodling a runic symbol that looks like a goat's head, the menacing music begins. Turns out she belongs, without knowing it, to an ancient supernatural breed (although she seems to be the only remaining Shadowhunter without a British accent). These crusaders battle evil with style. When she and her crew - Jamie Campbell Bowen (young Arthur in TV's Camelot), Jemima West of The Borgias, and Gossip Girl's Kevin Zegers - head for a Satanic goth nightclub to meet the High Warlock of Brooklyn (Godfrey Gao), they look like they just stepped out of a Paramore video. 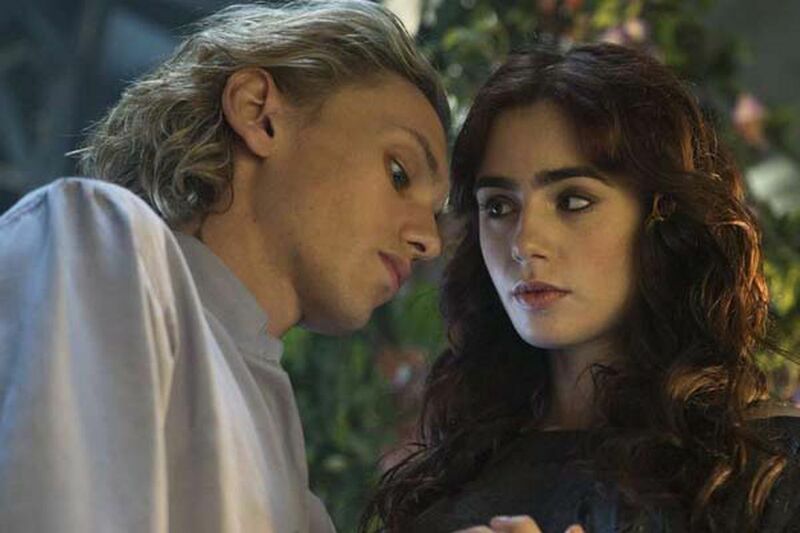 Though imaginatively directed by Harald Zwart, Mortal Instruments, which is adapted from Cassandra Clare's YA novels, is marred by significant flaws. The best actor in the cast - Lena Headey of Game of Thrones - exits way too early. And the most riveting character - a wonderfully villainous turn for Jonathan Rhys Meyers - enters far too late. This is ostensibly a teen romance, but all sweetness is lost in a sea of violence and gross special effects. Yet, the actual battle scenes are disappointing. The film's primary problem is its premature climax. It goes for the big action crescendo early, then tries to sustain that wild intensity for a solid hour. Admirable, but exhausting. You don't want to think too hard about the plot, because the young-love story takes a creepy, incestuous turn, and because Clary's powers essentially all derive from cutting. On the surface, Mortal Instruments is a slick teen thriller. Just overbaked and unoriginal. Running time: 2 hours, 10 mins. Contact David Hiltbrand at dhiltbrand@phillynews.com or follow him on Twitter @daveondemand_TV. Read his blog at www.inquirer.com/daveondemand.